Digital Marketing Executive in Kings Park Street and DSIM’s Ex-Trainee. He shares with us how digital marketing knowledge helped him in getting a job that not only guaranteed him good flow of money but an ever-growing career. Q1. Hi Ishaan! You have got a job in Kings Park Street as a digital marketing executive just after you completed your digital marketing training and that too being a fresher. So how it feels like? Ans. It’s great, I hadn’t expected to get a job straight after the course, but I was wrong. Q2. So, what role did the training play in getting you a job? Ans. It played a great role! The training was very hands on and completely practical, so that’s what helped me get the job that’s not barely a job but a promise for an every-growing career. Q3. That’s great! Well Ishaan! We would like you to share as to how you landed up on this job? Ans. I contacted Karan at placement to help me get a job. He sent my resume to some companies and they contacted me for interview. That’s how it went on and I got this job! Q4. Coming to your job profile…what all projects are you handling at your job? Ans. It’s mainly Social Media marketing. I have to promote the company’s services through social media. Q5. Social media! Yes! It has become a great platform for marketing these days. Anyway! Why don’t you tell us something about your company? Ans. My company does exhibitions and similar events like Delhi Haat, with handicrafts and other cultural stalls. Q6. Wow! That would be interesting to work in such a company! By the way why did you choose digital marketing and not any other field as the line of career? Ans.I think digital marketing has a tremendous scope and I wanted to get a piece of the pie. Q7. Anyway how was your overall training experience @ DSIM? Ans. I loved it. It was all by industry experts, so everything was shown to me in practice, which helped a lot. Q8. Well! It was great talking to you Ishaan however there is one more question for you! Is there something you would like to put across to the young job seekers? Ans. Work hard! That’s the best and the shortest way to success. 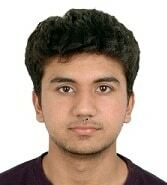 Ishaan Malhotra completed his Digital marketing training from Delhi School of Internet Marketing in Feb 2014.